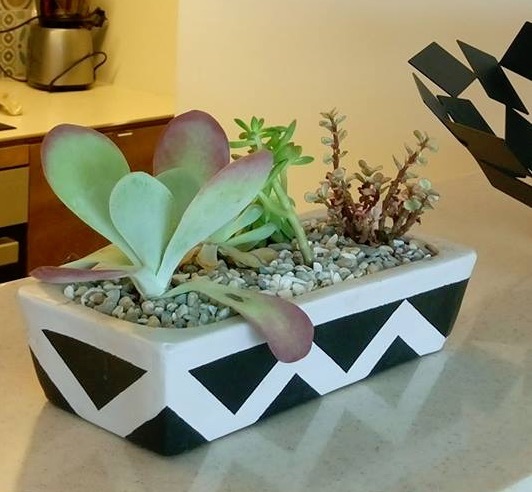 Scandi-looking black and white pots can best bring out the different colors of succulents. I’m so partial to succulents. I’ve had an on-and-off love affair with them since 2008. And now my love for them has had a resurgence here in Manila since you see them almost everywhere. It seems to be the favorite greenery among the young interior designers or stylists. Renewed interest in Scandinavian design also revived the popular use of geometric patterns in interior furnishings. Type Scandinavian design in Google or Pinterest, and this is what you get. 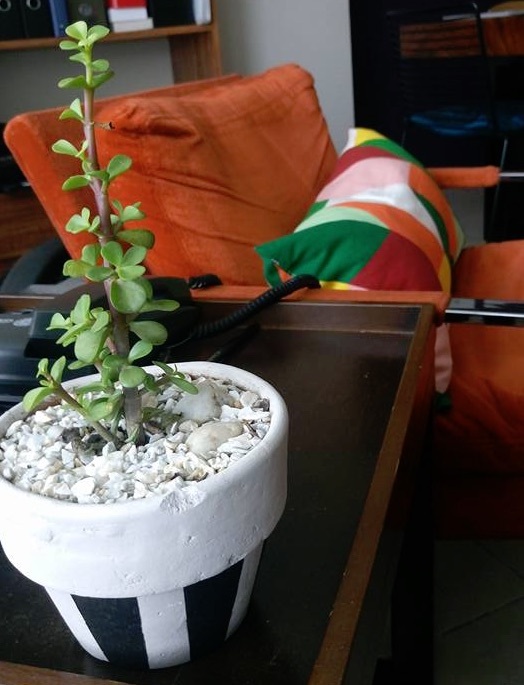 What’s commonly talked about is that succulents are easy-maintenance plants. Not! I killed all those I owned. I’ve over-watered, under-watered, roasted them under the sun, kept them in the shade. I could never get it right and somehow, sooner or later, they said their goodbyes first by shedding their leaves, then turning brown. I hope this batch is not going to die on me though. We made a DIY video for the brave souls among you who want to paint your own pots, and especially for those who feel lucky that they can master the art of caring for succulents. We wanted a clean, spare look so we chose to paint the pots in black and white. Doing so made the colors of the different plants stand out. If you want to share your own designs, send your photos to info@myboysen.com.